EES buses will be running a double route for the PM route today. This will cause a delay for arrival home. If you are picking your child up instead of having them ride the bus please let the office know as soon as possible. Thank you for your continued patience and understanding. EES Families: We just got off the phone with transportation. They are sending out a bus now to pick up students. Please call 580-248-3255 for concerns and questions. Students will not be counted tardy and we are holding breakfast. EES Family Night at the BOOK Fair: 3:00-6:00. This is an opportunity for you to come shop with your student. The best place to park is the parking lot behind the school by the playground. After 4:00 you can park at the bottom of the access road. Thank you! EES Bus Message: Due to parents informting us, the bus is running late. They are expecting students to arrive at 9:10 AM to EES. We will hold breakfast and they will not be counted tardy. Please call 580-248-3255 with any concerns or questions. Thank you. The last of the last EES shirts are almost gone! We have 1 youth large and 3 adult larges. There are no holds and no reorders will be done this year. Have a great weekend! EES Families: We wanted to let you know the entrance to the ball fields is open if you want to park there and walk up to get your EES student after school. Thank you for your continued patience! EES Families: We have 1 adult small, 1 adult medium, 3 adult larges, 1 extra large, 2 youth smalls, and 4 youth large FRIDAY shirts. All sizes cost $12.00. There will be on holds. These are the only shirts, besides the polo, allowed for Fridays. Thank you! EES Parents: the bus did a double route today and was running late. We were not notified, but wanted to let you know what occured and thank you for understanding. Good morning! Please remember to get to the Eisenhower Elementary parking lot you must enter through the access road through the high school parking lot or drive behind and around the middle school. You cannot enter the parking lot going the opposite direction of traffic. Thank you for your cooperation. Good morning! Today is the FINAL day of our coin fundraiser! The class with the heaviest bag of coins will earn a free dress day. The coins we raise will go to the Lawton Public Schools Foundation, an organization that supports local teachers! Thank you for your support! IMPORTANT NOTICE: Due to the painting of the new parking lot at Eisenhower Elementary, access to the new parking lot will be off limits for Thurs. Jan. 17, 2019. We apologize for this inconvenience. Good morning! Just a reminder that we are having our coin fundraiser! The class with the heaviest bag of coins will earn a free dress day. The coins we raise will go to the Lawton Public Schools Foundation, an organization that supports local teachers! Thank you for your support! EES Spirit Week Reminder- Monday-Students can wear Holiday Headwear(Santa hats, antlers, etc.) Tuesday-Tacky Sweater Day Wednesday-Students can wear PJs for $1.00 Student council will be selling candy grams for .50 each that students can purchase each morning. EES band student information-there was a miscommunication about the concert. The EES band students are going to perform tonight at the Eisenhower High School. That concert is not canceled. We apologize for any confusion. The EES 5th grade BAND does not have a concert tonight. Information on the reschedule date will go home tomorrow. Thank you! UPDATE: The 1st & 4th grade EES winter concert is postponed until Monday, Dec. 17 at 5:30 PM. The weather is bad and we want our families to remain safe & warm. Tutoring is in session & will be done at 5 PM. Please be here on time so teachers can get home safely. Thank you! Happy Early Thanksgiving from the EES Staff! We are blessed to be a part of your child's life and look foward to seeing them back after the briefThanksgiving Break! Remember no school will be held on Nov. 21, Nov. 22, or Nov. 23. One of our EES buses will be running a DOUBLE route for both buses today. This will cause a delay in home arriva for your child. If you would like to pick up your child at 3:45 PM instead of having them ride the bus please let the office know now. Thank you for understanding. One of our EES buses will be running a DOUBLE route for both buses today. This will cause a delay in home arriva for your childl. If you would like to pick up your child at 3:45 PM instead of having them ride the bus please let the office know now. Thank you for understanding. One of our EES buses drove a DOUBLE route for both buses today. This has caused a delay in home arriva for your child. The last bus just left EES at 4:30 PM. Thank you for understanding. If a student is late to school, a parent or guardian must come into the school to sign them in. Students are arriving after 9 AM without an adult signing them in. Thank you for your cooperation! Also, thank you for returning the FEDERAL AID cards! We have 99% turned in! Happy Wednesday! Just a reminder that tomorrow, Thursday, October 11th is a normal dress code day. Students need to be in modified dress code and NOT Friday spirit shirts. Thank you. Flash sale: We have five current EES shirts for sale. We have 1 extra small and 4 smalls available for $12.00. There will be no holds on these shirts. Once the shirts are paid for they are gone. Thank you. Good morning! This is a reminder that if a student is late to school, a parent or guardian needs to come into the school to sign them in. Students are arriving after 9 AM without an adult signing them in. Thank you for helping us take care of this and have a great day! Thank you for your understanding and support. If you have any questions, please don’t hesitate to contact us 580-355-4599. Here are some helpful hints to remember as we transition to the new process: 1. Notify the office no later than 9:15 a.m. if your child will be absent all day or has an appointment and will arrive late. 2. Ensure contact information is up-to-date. Starting Oct. 1 we will begin sending automated notifications to you when your student is absent from school. You will receive automated notifications, phone call and SMS text message, any time arrive at school after 9:30 AM. Automated notifications are sent daily by 10:00 AM. 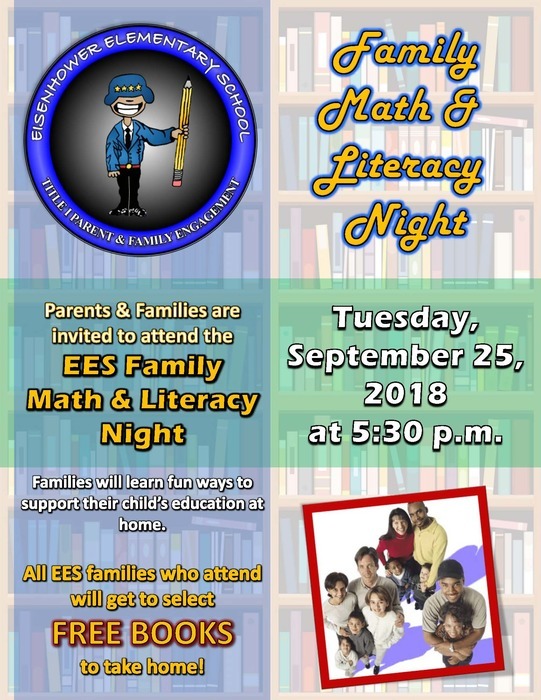 Don’t forget tonight is the annual MATH and Reading Family Night! Free book give away! 5:30 PM to 6:30 PM. Can’t wait to see our EES families! LPS apologizes for the inconvenience. Please ensure any transportation changes are done before 3:00 PM. In an effort to resolve LPS phone issues, our vendor and the manufacturer of the phone server will need to troubleshoot the system. From 3:00 pm – 4:30 pm today the phone system will be down. It may not take 1.5 hours to resolve. Good morning! Happy Tuesday: Just a reminder that today is picture day. All students wear the regular LPS modified dress code for the pictures we take in the fall. Thank you! Please advised that you must park in a desiginated parking lot when you pickup your student up at school. We are asking for your help and cooperation. At all times you should be parking your car and walking up to the building. At no time should you impede traffic or block other cars. You still have the option of parking in the south parking lot and walking to the front of the building to pick up your child. This will help with congestion in the new parking lot. Thank you. Good morning! Please remember, today August 31, is a professional day for teachers and there is NO school for Lawton Public Schools. Enjoy your Labor Day weekend! https://core-docs.s3.amazonaws.com/documents/asset/uploaded_file/20318/Dress_Code_Guidelines.pdf Please look over the guidelines for the modified dress code for ALL LPS elementary schools. Students must wear a polo with NO emblem and slacks must be black, navy or khaki colored. Leggings do not follow the LPS modified dress code. Thank you for your cooperation. Bus Update: If your child lives in the Highlands, Dove Creek, or Lee West their bus is BUS 631 in the morning and BUS 631 in the afternoon. As the bus drivers continue to learn their routes, we thank you for your patience. Bus Update: If your child lives in the Country Club Neighborhood and if you live on or near Malcolm Road your child’s bus is BUS 663 in the morning and BUS 663 in the afternoon. As the bus drivers continue to learn their routes, we thank you for your patience. As we prepare to open the parking lot at Eisenhower Elementary we are asking for your help and cooperation. Please ensure that at all times you are parking and walking up to the building. At no time should you impede traffic or block other cars. You still have the option of parking in the south parking lot and walking to the front of the building to pick up your child. This will help with congestion in the new parking lot. Thank you. Please in sure if you are going to enter any LPS building at any time, you MUST have proper identification. This is a school safety issue as well as LPS policy. Good morning! Please ensure your child uses the crossing guard at Beta and 52nd St. The crossing guard will ensure they get across 52nd St. into the proper place to walk through the playground to the front of the building. There is a teacher supervising the area for your child safety. Thank you. As we prepare for 3:45 PM dismissal Please note a few important requests: The front door will be opened by teachers at 3:45 PM with their classes. Please stand away from the front doors close to the orange fence. We have 10 classes come out the front door and teachers must navigate their students to parents/guadians. For student safety, visitors are not permitted to enter the building at dismissal time. Thank you. Parents/Guardians: Please ensure you come to the school to check-in your student. This is for ALL students in LPS new and returning. If your child's paperwork is not complete, they are not yet enrolled in a a class. Please ensure all proper documents are turned in before the 1st day of school. Our Kinder (Boot Camp) Information Meeting is being held today, Aug. 6 from 5:30 PM - 6:30 PM. Please come and meet our kindergarten teachers, guidance counselor and principal. We can't wait to meet you! Please ensure a parent or guadian comes to EES for student check-in before Aug. 10, 2018. You can come Aug. 3-Aug. 9 from 8:30 AM - 3:30 PM. Once school resumes, EES will not enroll students from the hours of 8:00 AM-10:00 AM. The mornings are extremely busy at all elementary schools. Thank you for cooperation. Check-ins will conclude today at 6 PM. Please Park in the parking lot off of 52nd Street and across Beta. Once parked, walk around to the front of the building. Thank you for understanding. Check-ins are today Aug. 2 at Eisenhower Elementary from 10 AM-6 PM. Park in the parking lot off of 52nd Street and across Beta. Once parked, walk around to the front of the building. Thank you for understanding. Check-ins start Aug. 1 at Eisenhower Elementary from 8 AM-4 PM. Park in the parking lot off of 52nd Street and across Beta. Once parked, walk around to the front of the building. Thank you for understanding. It’s almost time for LPS Check-In! We are excited about the 2018-2019 school year! Attendance and completed documentation at check-In is required for both new and returning students in order to obtain a class assignment. Please see the link for specific instructions. Bus 621 will be running a double route for bus 602 today. This will cause a delay for arrival home. If you are picking your child up instead of having them ride the bus please let the office know as soon as possible. Thank you for your continued patience and understanding. We just received word from transportation that buses will be running late this morning. We will not count bus students tardy and we will hold breakfast. Parents, the road to our entrance is closed. The only entrance to our school right now is through the access road. Bus 621 will be running a double route for bus 602 today. This will cause a delay for arrival home. If you are picking your child up instead of having them ride the bus please let the office know before 4:00pm. Thank you for your continued patience and understanding. Parents, due to time constraints, we will not be moving forward with the 5th Grade “shout outs” in the yearbook this year. We apologize for the late notice and hope you will still purchase a yearbook for your student to have memories for years to come. Unfortunately, the Ad pages will also fall under this same time constraint. Thank you for your continous support. Today will be a combined route with a substitute bus driver. We just recieved notice that Bus 602 and Bus 621 will be riding Bus 676 today. If you plan to pick your student up instead of having them ride the bus please let the office know by 3:45pm. We apologize for the inconvenience and appreciate your patience. We just recieved word that there were sub bus drivers this morninf and they missed a few stops. They are now making their way back around. We apologoze for the inconvenience and we will hold breakfast for your students. Thank you for your patiences. Great news! We were able to have two buses today. All students have loaded the buses and are on their way home. We apologize for the confusion. Dear Parents/Guardians: As we head into spring and severe weather season, this letter is to inform you of our procedures here at Eisenhower Elementary to ensure the safety of your child(ren). During times of severe weather watches, we will follow the procedures that have been established by Lawton Public Schools. The procedures for a Severe Weather watch are as follows: · Monitor NOAA Weather Stations · Bring all persons inside building · Prepare students by reviewing weather drill procedures When a Severe Weather Warning has been issued or spotted near Eisenhower Elementary, the following will take place: · Sound the Weather Alert Alarm · Students and staff will immediately proceed to their assigned safe room · Remain in safe area until warning expires or until LPS officials have given us the “All Clear.” · LPS Notification via text and phone call messaging announcing severe weather lock down will be sent out and then again once the the “All Clear” has been given. Please know that we take all Severe Weather Warnings seriously. During a Severe Weather Warning, students will not be released until after the “All Clear” has been given by LPS officials. All students and staff will follow procedures taking shelter in their assigned safe room so it will not be possible to release students during this time. Doing so, would put those concerned in danger. We have tornado drills on a regular basis to ensure that our students and staff know and understand the procedures in case of a tornado. We want to encourage you to keep safe by seeking shelter during a Severe Weather Warning and wait for the “All Clear” from LPS before coming to the school to get your child. Bus 621 will be running a double route for bus 602 today. This will cause a delay for arrival home. If you are picking your child up instead of having them ride the bus please let the office know before 3:45PM. Thank you for your continued patience and understanding. All traffic en route to Eisenhower Elementary today, will need to come through the access road from Eisenhower Middle School or north 52nd Street, due to parts of 52nd being closed for construction. If you are picking your child up at the end of day you will need to park in the SOUTH Grandfield parking lot (near the playground) and walk up. There is plenty of parking in that parking lot. We apoloize for the inconvenience, and appreciate your willingness to work with us during this difficult time. Bus 621 will be running a double route for bus 602 today. This will cause a delay for arrival home. If you are picking your child up instead of having them ride the bus please let the office know before 3:15 PM. Thank you for your continued patience and understanding. Bus 621 will be running a double route for bus 602 today. If you are picking your child up instead of having them ride the bus please let the office know as soon as possible. Thank you for your continued patience and understanding. We just received word that we will now have both buses. Bus 602 and bus 621 will be here. Bus 621 will be running a double route for bus 602 today. If you are picking your child up at the end of the day instead of having them ride the bus please let the office know. Thank you for your continued patience and understanding. Greetings! EES staff wanted to reassure you that LPS will be in session tomorrow, Monday: April 16, 2018. We are excited to greet your children & see their smiling faces. It will be a great day. EES will start OK State Testing on Tuesday. Thank you for your continued support. Eisenhower Elementary is no longer a feeding site for breakfast and lunch due to low attendance. Please check LPS website for available sites for breakfast and lunch. Available near sites: Adams, Edison, Almor West, Crosby Park and Cleveland, Thank you so much. No school for Monday, April 9th. Eisenhower Elementary WILL breakfast from 8 AM to 9 AM. Lunch will also be served. Lunch will be served from 11:30 AM to 12:30 PM. Thank you. We are here! Eisenhower Elementary will serve breakfast from 8 AM to 9 AM. Lunch will also be served. Lunch will be served from 11:30 AM to 12:00 PM. Thank you. No school for Tuesday, April 3rd. However, Eisenhower Elementary will serve breakfast from 8 AM to 9 AM. Lunch will also be served. Lunch will be served from 11:30 AM to 12:00 PM. Thank you. There is a double route today for our EES buses. Please expect a delay. Thank you. Eisenhower Elementary Families: Spring Break is here! March 19th- 23rd there is NO SCHOOL! Enjoy this time off with your family! Although today is the last day of school for the week, your child is still required to wear uniform pants. Jeans are only allowed on Fridays. If you know your child is wearing jeans today please bring them uniform pants to change into. Good morning! Our bus will be running a double today for both buses. Bus riders will not be counted tardy and breakfast will be held for those students. We appreciate your patients and apologize for the inconvenience. Bus 621 will be running a double route for both buses today. If you are picking your child up at the end of the day instead of having them ride the bus please let the office know. Thank you for your continued patience and understanding. Bus 621 will be running a double route for bus 602 today. If you are picking your child up at the end of the day instead of having them ride the bus please let the office know by 3:15pm. Thank you for your continued patience and understanding. Also, due to construction, the South Grandfield parking lot (near the playground) will be closed. If you are picking your child up at the end of day you will need to park in the WEST Grandfield parking lot (near the baseball field) and walk up. There is plenty of parking in that parking lot. We apoloize for the inconvenience, and appreciate your willingness to work with us during this difficult time. All traffic en route to Eisenhower Elementary today, will need to come through the access road from Eisenhower Middle School, due to 52nd Street being closed for construction. EES K-2 Parents, Please join your child for Read Across America Day at 2:30 p.m. TODAY! Parents & students will each receive a free Dr. Seuss book! Interim testing for 3rd-5th grade starts first thing this morning. It is imortant that your students are here and on time. Thank you! 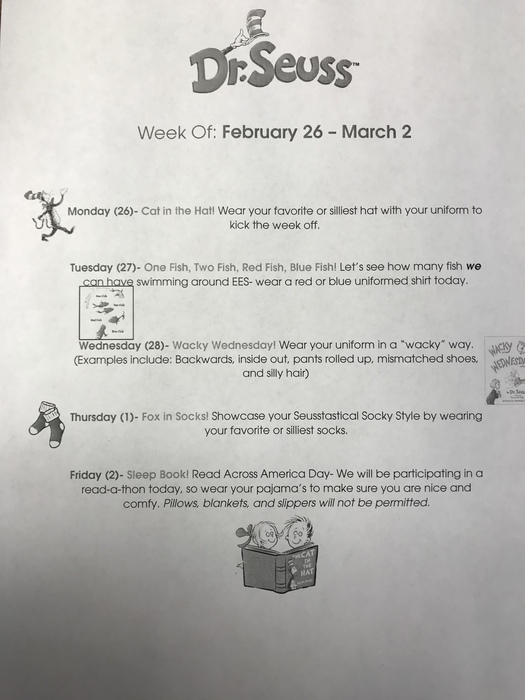 Dr. Seuss week is next week. A schedule of events will be sent home with your student. Monday is wear your favorite silliest hat with your uniform to kick off the week. Bus 621 will be running a double route for bus 602 today. If you are picking your child up at the end of the day instead of having them ride the bus please let the office know by 3:15pm. Also, until further notice there will be NO CARLINE. All students not riding a bus need to be picked up at the front door. Their teacher will bring them out and check them out with you. Thank you for your continued patience and understanding. There is NO carline today. Please pick your children up at the front door. Burrrr! It is cold outside. Please be very cautious when walking up to the Eisenhower Elementary campus. There are icy spots all over and we want you to be safe. Thank you. 660 will be running a double route for bus 602 AND 621 today. If you choose to pick up your child please notify the office and let them know if you will be doing car line or front door pick up. We assure you the children will be kept safe and warm at our school until everyone is picked up. We apologize for the inconvenience. Tues. 2/20 the road to EES will be closed. NO carline on Tuesday. To pick up any EES student please park at South Grandview parking lot. Reminder that there will be no school tomorrow, Feb. 19th. Enjoy your extra day off! Have a great day! Pls expect a delay due to alt route & buses doing a double route. If there is change in pick up, pls call before 3:15 PM. TY for your patience & understanding. EES families: The road to our bldg will be closed til 5 p.m. 2/16. There will be NO carline. You must park at South Grandview parking lot. Good morning! There is NO band today, February 14, 2018. Thank you! 621 will be running a double route again this afternoon for 602. If you choose to pick up your child please notify the office and let them know if you will be doing car line or front door pick up. We assure you the children will be kept safe and warm at our school until everyone is picked up. We apologize for the inconvenience. Good morning! Please remember that breakfast ends at 9 AM. If students are on a late bus, breakfast will be held for those students. We have several walkers and car riders that walk in after 8:55 AM and expect to eat past 9:00 AM. We open the school doors five minutes early at 8:40 AM so all walkers and car riders have enough time to eat. It is criticial that students eat and be in their classroom by 9 AM. Thank you for helping us make this a productive time for students. Parents: Just a gentle reminder that our Book Fair is still open for business, now through Friday, 9 February 2018. Please feel free to drop by and shop with or without your child. You also have the option of sending your child with money to the book fair and we will be happy to help them shop. Thank you for supporting our book fair! Also, please notify the office no later then 3pm if you decide to use car line or front door pick up instead of riding the bus. 621 will be running a double route again this afternoon for 602. We apologize for the inconvenience. Bus 660 is picking up 621 from EES. They will be arriving shortly. Thank you for your continued support and continued patience. Attention parents of bus riders: Bus 660 will be running a double route for bus 602 and 621. Please be prepared for your students to be arriving a little late. We ensure you that we will keep your students here at the school safe and warm until the bus returns to pick up your students. Thank you for your patients. Please join us for the EES Family Night tonight at our last book fair for the year from 3:30 -6:30 this evening. Thank you! Our bus will be running a double today for both buses. Bus riders will not be counted tardy and breakfast will be held for those students. We appreciate your patients and apologize for the inconvenience. Don’t forget our spirit night at Urban Air Adventure Park at 5324 NW Cache Rd. Our Eisenhower Elementary night will be from 6 PM to 8 PM tonight February 1. A portion of all proceeds will go to our school. Come out and show your support. Again, thank you for your continued support! Call 580-303-7243 for any questions! Bus 621 is leaving Eisenhower Elementary right now at 4:30 PM. Thank you for your patience. Attention parents of bus riders: Bus 602 is down. Bus 660 will be running a double route for bus 602 and 621. Please be prepared for your students to be arriving a little late. We ensure you that we will keep your students here at the school safe and warm until the bus returns to pick up your students. Thank you for your patients. Bus 621 will be running a double today for bus 602. We appreciate your patients and apologize for the inconvenience. Please expect a delay of arrival of students. Bus 621 will be running a double today for bus 602. Bus riders will not be counted tardy and breakfast will be held for those students. We appreciate your patients and apologize for the inconvenience. Attention parents of bus riders: Bus 602 is down. Bus 621 will be running a double route for bus 602. Please be prepared for your students to be arriving a little late. We ensure you that we will keep your students here at the school safe and warm until the bus returns to pick up your students. Thank you for your patients. Attention parents of all bus riders. This morning bus 602 is down so bus 621 will be running a double route. We appreicate your patients as the bus might be running a little late to your stop. All students late because of the bus will not be counted tardy and they will be able to eat breakfast. Thank you for your understanding. No awards assembly today for 3rd through 5th. It has to be rescheduled for January 23. Thank you for understsnding! Happy New Year! We are starting the year off by asking our EES families to help us help the Lawton Public School Foundation. Clean out those sofa and chair cushions, look deep in your car seats and get that loose pocket change ready. EES will be conducting a coin drive January 8th-12th. Please have your child bring loose change in a ziplock bag for the coin drive. The class with the most money collected will be awarded a specific day to dress their way! Reminder: there is no school Friday, Jan. 5, 2018 for students. School resumes for students on Monday, January 8, 2018. This message is to inform you of bus changes for today. Bus 621 students will be riding bus 618. Bus 602 students will be riding bus 621. We apologize for the inconvenience. Students that ride bus 621 are now loading the bus to leave the buildong. We appreciate your patience so much ans hope you have a wonderful evening. Students that ride bus 602 are now loading the bus to leave the building. Students that ride bus 621 are still at the building and will be picked up soon. This message is to inform parents and guardians of all bus riders that bus 621 will be running a double route today so please expect a late arrival. We will send another text when the first round of students leave the building and again when the second round leaves as well. We apologize for the inconvenience. Bus 655 just left the building to drop off students that normally ride bus 621. We thank you for your patience with this and hope everyone has a wonderful weekend. The first round of bus 602 students just left the building. The second round is still at the school and will wait for the bus to arrive back at the school for pick up. We assure you they are all warm and safe. Good morning! Information was just received that bus 621 will run a double route for Bus 602 today. He will run his route bus 621 first and deliver students; then run Bus 602 route. Thank you and please prepare for this change. This morning bus 649 will be covering bus 602. Please be prepared for a possible delay in pickup. Thank you. Regarding Bus 602: We will have a sub driver AND bus for 602 today. This morning Bus 651 will be running that route. We will be either having to sub or double this route through Christmas Break and possibly after due to medical leave of 602. Please help us with discussing with your bus rider(s) about the importance of following bus procedures. All procedures are in place for student safety. Thank you for your continued support. As we approach this long Thanksgiving break, we are thankful for our students and families at Eisenhower Elementary. Please enjoy your Thanksgiving with those you love. Also, If you have any fundraising order forms AND money please turn that in Monday. Nov. 27, 2017 is absolutely the last day to turn in the order forms AND money for the fundraiser. It’s not too late to come to our Literacy Night! Lots of activities and FREE books to build your home library. We are here until 6:30 PM. Tonights the night! Eisenhower Title I Family Literacy Night & FREE Book Give Away Who? Parents/Guardians and Students in K through 5th grades When? Monday, November 20, 2016 at 5:30 p.m. to 6:30 p.m. Where? EES Auditorium & Classrooms Why Should You Attend? To learn fun ways to support literacy at home and to get FREE books for creating or adding to your home library! Eisenhower teachers will share fun activities families can use at home to support literacy skills. At the end of the fun literacy activities, families will be able to select several FREE books for their student(s) to take home and keep! Don’t forget tomorrow is our annual Eisenhower Title I Family Literacy Night & Book Give Away Who? Parents/Guardians and Students in K through 5th grades When? Monday, November 20, 2016 at 5:30 p.m. to 6:30 p.m. Where? EES Auditorium & Classrooms Why Should You Attend? To learn fun ways to support literacy at home and to get FREE books for creating or adding to your home library! Eisenhower teachers will share fun activities families can use at home to support literacy skills. At the end of the fun literacy activities, families will be able to select several FREE books for their student(s) to take home and keep! Our school fundraiser is winding down. All order forms WITH money and checks are due Friday, Nov. 17, 2017. Ensure all checks are made out to Eisenhower Elementary. Thank you for your continued support. Attention bus riders of bus 621. There is a subsitute driver on this bus and your students are being picked up by bus 605. The bus is running behind but it will be there. Thank you for your patience and we apologize for the inconvenience. Would like to notify you that Bus 602 and Bus 621 is running a little behind but they will be at your bus stops with your students. Happy weekend! Today your child is bringing our school wide fundraising packet! Please sign the permission form and return Monday! We’ve Instructed the students to sale to people they know and not to go door to door unless they are with a parent or guardian! Have a great weekend and happy selling! This a reminder that tomorrow, Tuesday, October 31st, 2017 is a regular dress code day: polo style shirt of any solid color with no emblem, slacks, shorts, capris and jumpers (black, blue or khaki) NO DENIM. Thank you! It’s not too late to plan to attend our family math night! It starts at 5:30 PM and will end at 6:30! Come and enjoy some family fun! We can’t wait to see you. Good morning! Please remember to return the Federal Impact Cards TODAY. These are important because the data on the cards help to put money back into our schools, which allows us to have a quality education for our kids. They’re vitally important for LPS funding. Impact Aid allows funding for school districts that would lose property taxes because of military or tribal land in their borders. Having more Impact Aid cards returned means a greater chance for funding. EVERY single card counts. Thank you for your continued support. Get ready! Red Ribbon Week is Oct. 23-27. Monday: Wear a RED Polo-Wearing red shows our promise to stay drug free! We can’t wait to see your tomorrow!! Eisenhower Elementary would like to remind you that because we have no school on Friday, October 13th, please ensure your student is in proper school uniform dress code tomorrow, as jeans are reserved for Fridays only. Good morning! Spirit of Survival, race to support cancer patients, is coming up Sunday, October 1, 2017!! We have been encouraging students to participate in the Superhero Kids Marathon that will be at 2pm at Elmer Thomas Park. Sign up forms went out with students a couple weeks ago and extras went out last week. We do not need these forms back. However, the forms give specific instructions on how to sign up and pay for you and your child/children to participate. We are going to be meeting at a specific location day on race day so we can all walk the last 1.2 miles together. It will be at your own fitness/comfort level though. The cost is $10 to participate and money goes towards helping cancer patients. After the walk, kids will have a FREE pass to Superhero Kids Zone with lots of inflatables, face painting, and more!! For more information and to register, please visit www.spiritofsurvival.com. Another text will be going out closer to race day with more info on where to meet up with Eisenhower Elementary group. Hope to see you all there! Bus 621 is on their way home. Thank you for your patience. Bus 621 will be running ten minutes late. The students are still at the school. Please be prepared for a delay in arrival home. Thank you for understanding. Good morning! Our bus will be doing a double run this morning. There may be delays in the morning pickup. Thank you for your patience and understanding. School Picture Day is tomorrow - Monday, September 18, 2017! How to Dress: Come in regular LPS uniform dress and neatly combed hair. What to Bring: Nothing but your smile! Other info: No money is needed on Picture Day--the proofs will be sent home and you will be able to order then. Also, please keep in mind that these pictures will be used in the annual yearbook, so try not to miss them! Bus 621 students have been picked up and are on their way home. We thank you so much for your patience. We hope you have a wonderful evening! Good afternoon, letting all famililes know bus 621 students are still at the school awaiting the sub bus arrival which is running a double route today. We apologize for any inconvenience. Goodmoring. We wanted to let everyone know that all bus riders have arrived at school. We understand all students that normally ride bus 621 were tardy due to bus 602 running a double route. We also wanted to let you all know that bus 602 will also be running a double route for 621 this afterrnoon when school relesases. The first bus has arrived at school and the next routes are going to be picked up shortly. Thank you. A sub bus is deliving bus 621. They are running a little late. Thank you for your patience. Happy Labor Day! We hope you are enjoying some much needed family time. Don't forget we are having our book fair: Sept. 5-8 from 9:15-3:00 daily. Come for our Family Night: Tuesday, September 5th from 3:00-6:30 PM. Grandparents and Grandfriends can come shop with their family member: Friday, September 8th from 9:15 AM-12:00 PM. We accept major credit and debit cards, checks and cash! As you may have heard, LPS has purchased a new reading curriculum. Our old curriculum, reading street is still up-to-date on skills and strategies that your child is currently learning. Reading Street is a great resource and could be extremely beneficial. We have decided to send home textbooks and workbooks with our students. Once you receive these resources they are yours to keep and do with what you wish. We hope that your child can put the textbooks and workbooks to good use and continue their learning at home! Please remember that school does not start until 8:45 AM. There arr no adults supervising your students when you drop them off before then. We have extended day for a fee, and that is the only safe option for your child if you drop them off before 8:45 AM and leave. Thank you for helping us keep your children safe. Attention Parents, we recieved notifcation from transportation that bus 621 is out of service and we will be utilizing bus 602. If your student rides bus 621 there will be a delay in their arrival to their bus stop today due to bus 602 running a double route. This year we have started our new carline. Thank you for all the compliments and encouragement. As you know starting something new can be challenging. The encouragement has let us know we are doing the right thing. Please discuss at home what permanent mode of transportation you will be using to pick up your child. You can use the Carline. When using the Carline you do not get out of the vehicle. Students will be brought to you. The bus is still available for bus riders, as well as the daycare vans. You always have the option to park, walk towards the front of the school, and get your child as well. We will be sending home a note on Friday for you to make that decision as a family what works best for you. We are looking for a permanent decision on what you will be using for the rest of the school year. We know that emergencies occur and changes will happen, but we need a more consistent list to ensure the safety of ALL students. Also, having a permanent solution for the end of day transportation will be beneficial to parents as well. Thank you so much! Happy Monday! Please remember you have two choices when picking up your child. 1. You can use the carline. Please do not get out of your vehicle. A staff member will bring your child to the car once they are called on the walkie-talkie. 2. If you are picking up your child, park your car in the designated areas, walk to the front door area, and let the teacher know that has your child that you are picking them up. Parking options are north of the fence or the far south parking lot south of the play ground. It is critical that you do not park in the bus/daycare lane. The bus/daycare lane on 52nd Street is for a quick and safe dismissal of students. Thank you for your continued support and patience as we implement new procedures. If you have issues with buses please call transportation at 580-248-3255. Reminder: For student safety, it is our policy that all parents dropping students off in the morning hug and say goodbye outside of the building. EES staff will direct students to their classroom teacher or breakfast. All visitors must check in with the office. Please have your ID available to receive your visitor identification sticker. There are no exceptions to this LPS policy. Good morning! Please remember you have two choices when dropping off your child. 1. You can use the carline. Please do not get out of your vehicle. A staff member will open the door and direct your child to the next staff member. 2. If you are walking to the door, please park. Parking options are north of the fence or the far south parking lot south of the play ground. Do not park in the bus/daycare lane. The bus/daycare lane on 52nd Street is for a quick and safe dismissal of students. For ALL student safety, it is policy that all parents dropping students off in the morning hug and say goodbye outside of the building. Thank you for understanding i'm being patient with us as we implement new procedures. Have a great day! Thank you for a great first day! We are still working on many new procedures at Eisenhower Elementary. One new thing this year is our Carline. Use the Carline when you want us to take your students out of the car or bring them to you at the end of the day. You do not need to exit your vehicle. If you want to bring your child in or pick them up at the end of the day you can park towards the north side of the fence or in the south parking lot of the playground. Then, you will walk towards the front doors of the school to get your children. Have a great weekend and we look forward to seeing you Monday. 2 more hours until we are done with check-in. Don't forget to come see us TODAY for check-in! August 3rd from 10 AM - 6 PM. Please bring proof of residency...water bill, electric bill, or lease with your name on it....this is for ALL students, new or returning. Thank you! Check-in is for ALL students who will be attending Eisenhower Elementary. Don't forget to come see us today for check-in! August 3rd from 10 AM - 6 PM. Please bring proof of residency...water bill, electric bill, or lease with your name on it....this is for ALL students, new or returning. Thank you! Check-in is for all students who will be attending Eisenhower Elementary. We can't wait to see you! A big thank you to all the parents and guardians who came and seen us today! If you haven't checked in at Eisenhower Elementary it's not too late. You can come see us tomorrow, Aug. 3rd from 10 AM - 6 PM. Please bring proof of residency...water bill, electric bill, or lease with your name on it. This is for ALL students, new or returning! Check-in is for all students who will be attending Eisenhower Elementary. We can't wait to see you! You still have one more hour for Eisenhower Elementary chdcking. We will be here until 4:00 PM. Please bring proof of residency...water bill, electric bill, or lease with your name on it. All LPS students, new or returning must be checked in their school for the 2017-2018 year. Thank you. We can't wait to see you! Don't forget to come see us TODAY for check-in! August 2nd from 8 AM - 4 PM. Please bring proof of residency...water bill, electric bill, or lease with your name on it. All LPS students, new or returning must be checked in their school for the 2017-2018 year. Thank you. We can't wait to see you! Don't forget to come see us this week for check-in! August 2nd from 8 AM - 4 PM and August 3rd from 10 AM - 6 PM. Please bring proof of residency...water bill, electric bill, or lease with your name on it....this is for ALL students, new or returning. Thank you!Check-in is for all students who will be attending Eisenhower Elementary. We can't wait to see you! Don't forget to come see us next week for check-in! August 2nd from 8am - 4pm and August 3rd from 10am - 6pm. Please bring proof of residency...water bill, electric bill, or lease with your name on it....this is for ALL students, new or returning. Thank you!Check-in is for all students who will be attending Eisenhower Elementary. See you next week! EES students may have free dress all next week for the last week of school. 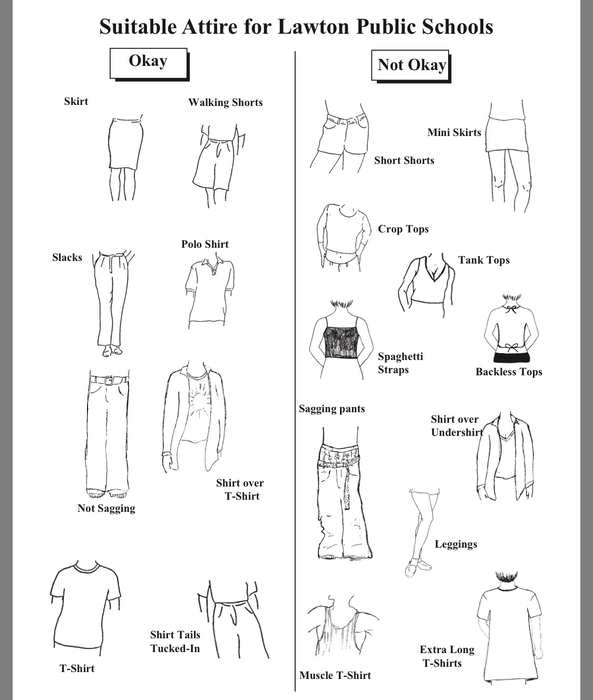 Please ensure clothing follows the LPS dress code. EES administration reserves the right to determine the suitability of questionable clothing. Students will be required to change before attending class. Thank you for your contined support! Today is the final day to purchase the EES yearbook. All money is due today by 12:00 PM. There will be NO late orders. Thank you. Thursday, May 11, 2017 at 12:00 PM is the final day and time to order the EES yearbook. The cost is $12.00. This is a pre-printed yearbook, therefore there are no late orders. Again, tomorrow is the final day to purchase. Thank you. Monday morning we will do an evacuation drill to Eisenhower High School (EHS). We will evacuate the building and walk as a school to our designated location: EHS . Each school in the district has a designated building as a safe location where students and staff will locate if we have to vacate our building for safety reasons. Please ensure your child is wearing appropriate shoes to efficiently and safely walk EHS. Thank you for your continued support! 4 year olds from the Eisenhower Elementary area will be able to enroll in Learning Tree Academy. You will need to enroll your child for Pre-K at Douglas Learning Center, 102 E. Gore Blvd. from 8 AM to 3:30 PM. Enrollment starts Tuesday, May 9. You will need a state issued birth certificate. Students must turn 4 years old on or before Sept. 4, 2017. You will also need current and complete immunization records and proof of residency will be needed at Douglas on the day of enrollment. Call 580-353-0171 with questions. There was a minor accident with one of the buses. It hit a mailbox. All students are safe and accounted for. The other bus is stuck behind that bus. As soon as this gets situated students will be on the route safely home. Our priority continues to be keeping your children safe. All students are safe and accounted for. This involves buses that subbed for 677 and 649. Bus 677 is running late due to a new bus driver. We are in touch with transportation right now. Thank you for being patient. Today is the last day of state testing! We will take the final Math test. Yesterday, the students did amazing using their strategies. Come on Generals, let's finish strong! Today, we expecting nothing but great things! Please be at school on time. Thank you for your continued support! Buses are running late due to a double route. Thank you for understanding. Today is day one for our state Math assessment. We will take part one today. Please be at school on time. Thank you so much!! Tomorrow our EES students put their Math strategies to work! 3rd through 5th grade are taking Math part one on the OSTP. Please ensure your child is at school on time. Thank you again for your continued support. Tomorrow starts a new testing week! Let's finish strong and be prepared to do our best! Students who come late will have to wait until their class is finshed testing to enter. Please have your child to school on time. Thank you so much. Your help at home makes a difference! Come to the Eisenhower Elementary garage sale happening right now at the Eisenhower Elementary parking lot. Don't miss this excellent opportunity on great deals! Sale ends at 2 PM! The Science Fair boards look amazing! Thank you intermediate parents/guradians for helping your child discover their inner scientist! Your help at home makes a difference! The primary projects were so cool and innovative! Thank you Mrs. Strange for organzing a successful Science Fair! Tomorrow starts state testing. Please have your child to school on time and reschedule appointments so your child can test with their class. Be sure they get plenty of sleep. Our students have worked hard all year for this moment. They are ready to do their best work! It's not too late to make plans to attend the Eisenhower Elementary PTA meeting. The meeting starts at 5:30 PM. WE ARE DRAWING FOR A NEW TV! Make plans to attend our PTA meeting on Thursday at 5:30 PM. We will be drawing for a new 32 inch TV. Friday we will have an important testing meeting for all parents at 3:00 PM. Please be attendance to receive important information. Parents, the bus is running late today due to a double route. Math Night is in progress! Please stop by and join in on the fun! Join us from 6 PM- 7 PM February 9, 2017! You get something for just showing up! Math Night returns to EES on February 9, 2017 at 6:00 PM. Join us for fun and math games with your child. Each family will also receive a Fantastic Flash Card give away just by attending. EES Families & Staff: Our Math Night is officially over! Thank you for coming this evening & enjoying time learning math games! You are absolutely the best! It's not too late! Math night is happening right now. Come and join us! We are here waiting with your Math Kit. Math night Tues. Nov. 29, 6 PM to 7 PM. EES Families: Join us for Math Night: Tues., Nov. 29 6-7 PM. Each family will receive a math kit. We hope you can make it!